Qabalah can appear a very dense and complicated system but the good news is that we don't have to learn it all at once to make it functionally operative in our daily life. We can take it in piecemeal and build from there. All we need to start is a copy of 777 and Other Qabalistic Writings of Aleister Crowley the premier dictionary and reference guide to this science and art. Another basic tool for this start-up kit is a diagram of the Tree of Life which can be drawn, painted, or simply photo-copied from a book. A lot of information can come in just by contemplating this image. Observing the Tree of Life, we see that one sphere, or Sephiroth as they're known, has pathways connecting it to all the other Sephiroth except the lowest one. It's the Sephiroth right in the middle of the Tree called Tiphareth. The English word for it is Beauty and its key number is 6. We can begin receiving qabalistic insight by learning and observing all the correspondances to Tiphareth. We do this by looking at the tables in 777 that start on page 2. The small column of numbers to the right of every table represents the key scale where you find the key numbers. So, for Tiphareth, we look at the row beside the number 6 on every table. The first English table tells us that this is the Sphere of Sol, the Sun. As we go through the tables, it's not surprising to see all the Sun Gods associated with Tiphareth: Ra, Apollo, Christ, Buddha, Krishna, etc. We can see from the Tree of Life picture a few posts back, that the human body gets placed on the Tree such that the different Sephiroth correspond to different parts of the body. It should be obvious from the diagram which part of the body and which chakra corresponds to Tiphareth. This is the method I used to initiate qabalah studies and it worked pretty good. I didn't memorize all the tables right away and then try to remember it all as has been suggested in certain quarters. As mentioned earlier, Robert Anton Wilson said in a lecture I attended that the Illuminatus! Trilogy, which he co-wrote with Robert Shea, was meant to be a guide to Qabalah on one level. We see that the chapter titles are named in order of the different Sephiroth on the Tree from top to bottom. The story begins in New York's Central Park. Central Park obviously corresponds with the central Sephiroth, Tiphareth. Wilson and Shea also begin their qabalistic odyssey in Tiphareth. The sun was bright, the air was clear, and it was Spring, which may explain why Hagbard began whistling as he walked with a brisk and determined pace toward the Senate Office Building. The tune was "My Heart's in the Highlands." So we get keyed into Tiphareth at the very end of the book, as well. Perhaps their intention meant to create an isomorphism (comparable form) with the cyclic sentence that begins and ends James Joyce's Finnegans Wake? Bringing the perspective of JJ's phonetic, sound-based, dream language into the mix might shed light on the phrase Senate Office Building, and how the energies of Tiphareth can get alchemically absorbed and practically applied. "You have to see the numbers, Gabriel. You can't win if you can't see the numbers." There also exists a recording of a rare talk where Gold goes into some of the qabalah from an early version of Creation Story Verbatim known then as Nimbus. Kether being the top most Sephiroth while Malkuth is at the bottom signifying the material world. The album title Station to Station indicates the different Sephiroth. 2. The Chicken Qabalah of Rabbi Lamed Ben Clifford: Dilletantte's Guide to What You Do and Do Not Need to Know to Become a Qabalist by Lon Milo Duquette. 1. It greatly aids application of the ancient instruction for Initiation inscribed in the Temple of Apollo at Delphi - gnothi seaton - know thyself. As we begin to sort some of the signals we receive into our Tree of Life filing cabinet we necessarily make interpretations and choices about what, if any, qabalistic communication to consider. Observing these interpretations over time can reveal much about ourselves previously hidden. 2. The function of Qabalah is to create or contact a guide, a guide to the Unseen World. Also a guide to the Bardo, maybe even the Bardo guide. In Crowley's system, the highest functioning realization of this guide is called the Knowledge and Conversation of the Holy Guardian Angel. When Crowley walked across China in 1905, he went through a particularly difficult spiritual crisis that eventually resolved in the realization that his purpose in life was to teach people about the Knowledge and Conversation of the Holy Guardian Angel. Of course, later in his life he may have had other realizations about his life's purpose but he never lost sight of that mission. We are not concerned whether the HGA has an objective existence outside ourselves or if it only presents a method for pulling ourselves up by our own bootstraps to contact a higher part of our brain. Crowley chose to use that term, the HGA, because the absurdity of it should discourage all debate as to whether it is real or not. The reality of it - it works, it does what it advertises - expands both consciousness and morphology of Being to an extent one would initially not realize possible. It's very easy to begin looking at things through the lens of qabalah. Puns, looking at words in different ways, discerning and putting together different meanings is a simple form of qabalistic exegis. Ain - the highest, translates as "Nothing"
Ain Soph Aur = " Limitless Light"
Sense of none also corresponds with the Buddhist's Void. In modern physics, the search for the basic building blocks of matter reveals nothing there at the bottom of it all but the motion of vibrating strings of energy. The word "nonsense" also describes the qabalistic trick of bypassing the rational mind. One theory of how Qabalah works to raise consciousness discussed by Robert Anton Wilson holds that at some point the intellect will get overloaded with symbolic data and snap into a Zen satori-like state. James Joyce seems the master of puns and multi-levels of meanings found in words most notably in Finnegans Wake. Reading him will help facilitate a multiple view outlook. He presents a wealth of qabalistic material which perhaps partially explains why Aleister Crowley called him a genius in a review. Next up - where to begin. “The highway is for gamblers better use your sense. It seems common knowledge, in scientific circles, that the majority of energy in the Universe appears undetectable to ordinary human sense receptors. A plasma physicist, Claude Needham, once presented the image of a stack of sheets of paper extending from Earth to the Moon saying, consider this stack to represent all the energy we get exposed to every moment. 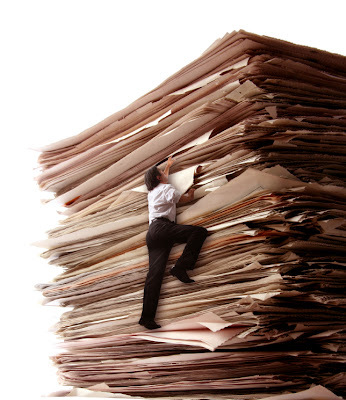 The amount of energy detectable by human sense organs approximately equals the thickness of one sheet of paper. Qabalah can help extend our reach into these invisible worlds. It can serve as a springboard into the Unknown, as Crowley puts it. Recognizing patterns of qabalistic communication is how we learn and expand our vocabulary of that language. However, there exists functional purposes for qabalah. We do not study it for purely academic reasons. Qabalah can act as a guide to hidden worlds - more rarefied, "higher" dimensions of space and time. By placing a qabalistic lens over our daily experience it becomes possible to detect or formulate the existence of a guide. If persistent, we become able to use qabalah to receive contact with a guide to higher realms. We are unconcerned whether the guide has an objective existence or we are simply awakening a higher part of our brain. If it works, it works. This is the barometer we go by. We call it the bootstrap method – you pull yourself up by your own bootstraps, the bootstraps being how you use your attention to look at things. Pattern recognition seems critical toward opening the eyes to the unseen world. Like the Wilson Cloud Chamber, a scientific device that particle physicists use to deduce the behavior and existence of invisible particles through known events, paying attention to repetitive occurrences and attempting to decipher the patterns they create can give us a much bigger picture of the world and our place in in it. Synchronicities (meaningful coincidences) can indicate the presence of a guide or an archetype. Archetypes comprise deep-rooted patterns inherent within the collective consciousness. They may point to a lesson to learn, or work to do. They can also be an affirmation of alignment with our right track, following in the right direction, that direction becoming the aims or goals we have set for ourselves. Our path through life. The Truth of who we are. What Crowley calls True Will. Archetypes may also be considered teaching entities as well as guides. They can seem very alive in their own way. Contact with them opens the possibility of accessing areas of knowledge and experience normally unavailable through common channels. It’s known as gnosis or simply inspiration when received. I'll provide some examples of the qabalistic lexicon in the next installment. Looking at these lyrics years later, they ring more profound than ever for me. Viewing them through the occult language known as Qabalah, as developed by Aleister Crowley and others, one can clearly tap into a different kind of information useful for personal transformation and evolution. One of the linguistic techniques Aleister Crowley applied in his Qabalistic lexicon was to associate very simple everyday words with particular magical formulas, that is, specific techniques for transformation. Words such as OUT, PLACE, THAT, and IT were given specific metaphysical meanings in Crowley's Book of Lies. For instance the word IT corresponds with Absolute Reality. To address this, I'm going to post an unfinshed essay I started to write a few years back, and go from there. The problem of accurately communicating higher states of consciousness, how to reach them, what to expect, and what to do there has confronted many researchers in the field. Words prove inadequate to fully represent states and spaces beyond intellectual concepts. G.I. Gurdjieff, in one of the lectures included in “Views from the Real World” expressed the need for a new language to communicate the ideas he was presenting. William S. Burroughs spent considerable time and effort studying Egyptian hieroglyphics with the hope of communicating through images rather than words. Ezra Pound investigated Chinese ideograms for the same purpose. Timothy Leary worked at formulating a symbolic language in order to communicate the richness of experience to be found in alternate reality spaces. One person who put considerable effort toward solving this problem of communication was Aleister Crowley. Crowley, compiled the definitive dictionary of a comprehensive symbolic language called Qabalah (traditionally spelled Kabbalah). It is this unorthodox, pantheistic, multi-level use of Qabalah, which we shall be examining in this essay with the aim of showing how to practically apply it. General Semantics theory maintains that the language constructs we use and think in tremendously influences how we perceive reality. Therefore, if we wish to expand our reality we can broaden the language we use. An open-ended higher-order language can open the door to the alternate states of consciousness it seeks to classify and map. The word Qabablah means, “to receive”. Qabalah is received through a language of imagery based on number. The alphabet of this language maps itself by a model called “The Tree of Life.” The Tree of Life comprises 10 spheres or “sephiroth” and 22 paths that connect them. These make up the 32 key numbers, the 32 filing cabinets, that make up the basic building blocks of this magical language. 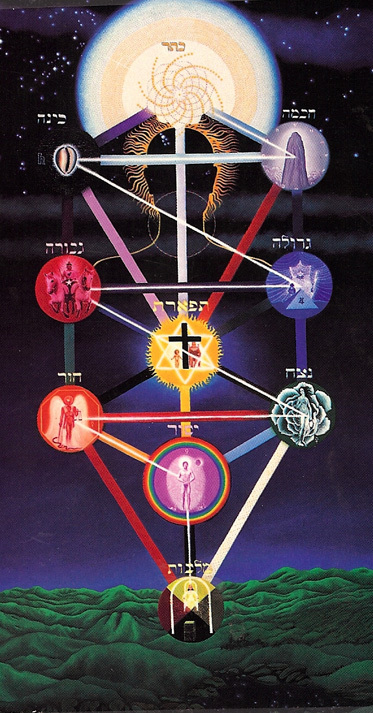 The stylized Tree of Life illustration below comes from Dion Fortune's The Mystical Qabalah, a highly recommended beginning textbook on the subject. We call this a magical language. Magick is the Science and Art of causing change to occur in accordance with Will as defined by Crowley. The language of Qabalah can communicate instructions for transformation. That’s what we mean when we call it a magical language. Qabalah is a system of classifying ideas, archetypes, experiences and phenomena. It has been likened to a filing cabinet. One aim is to become aware of the common underlying thread of unity found among a wide variety of cultural milieus and belief systems. In other words, to discover the inner truth that permeates different systems of spiritual endeavor..
Qabalah, like any language, is a tool for communication. Some experienced labyrinth voyagers, otherwise known as mystics,shaman, and musicians, use it to communicate the art of their work. This work is in higher dimensions. What is needed is a multi-level language with the capability of communicating far more than words could ever hope to. A language that can communicate mood to the thinking, feeling and moving centers in a balanced way. A language that serves to impart navigational clues, course correction guidelines and basic voyaging instructions. Qabalah does this in a far more immediate and holistic fashion than conventional language.